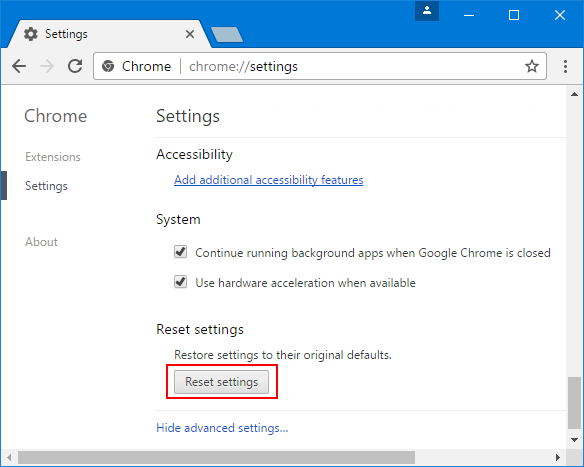 This will reset your homepage, new tab pages, and search engine, disable your extensions and unpin all tabs. 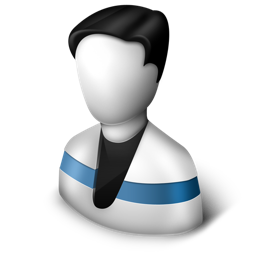 It will also clear other temporary and cached data, such as cookies, content and site data. However, your saved bookmarks and passwords will not be cleared or changed. 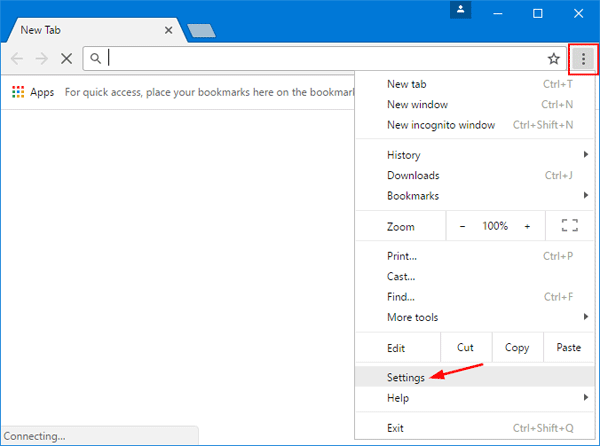 Open your Chrome browser, and then click the More icon (with three lines or dots) in the upper-right corner and select Settings. 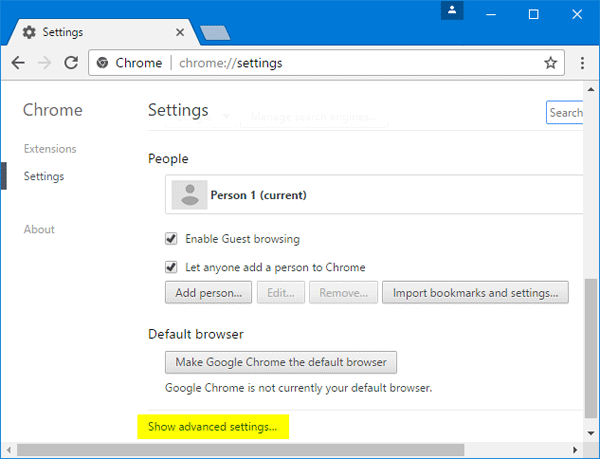 Chrome’s Settings should now be displayed in a new tab. Scroll down to the bottom of the page and click on the Show advanced settings link. Scroll down to the Reset settings section, as shown in the screenshot below. Click on the Reset settings button. A pop-up window will come up and ask for confirmation the restoration process. 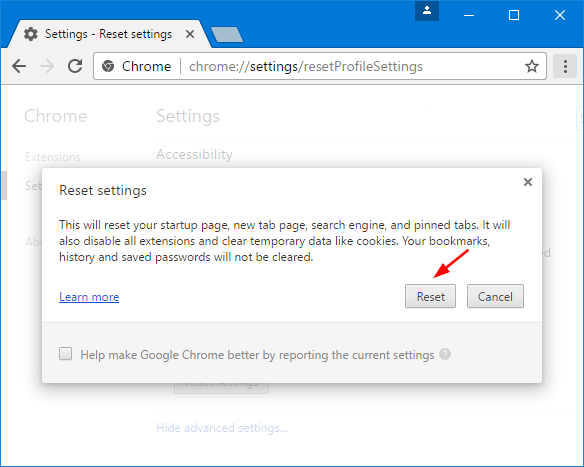 Once you click Reset, you will get clean and default Google Chrome. In the People section of the Settings page, select your current profile and click the Remove button underneath. 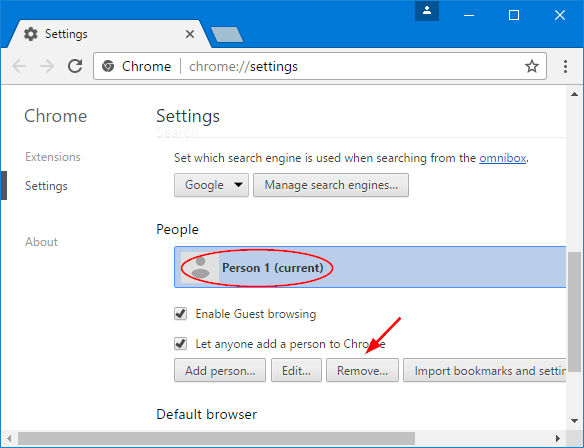 After deleting, Chrome will automatically set up a new profile with default settings. If you want to remove data and settings for all Chrome profiles, just open Windows Explorer and go to the directory C:\Users\user_name\AppData\Local\Google\Chrome\User Data, delete all files in it. That’s it!